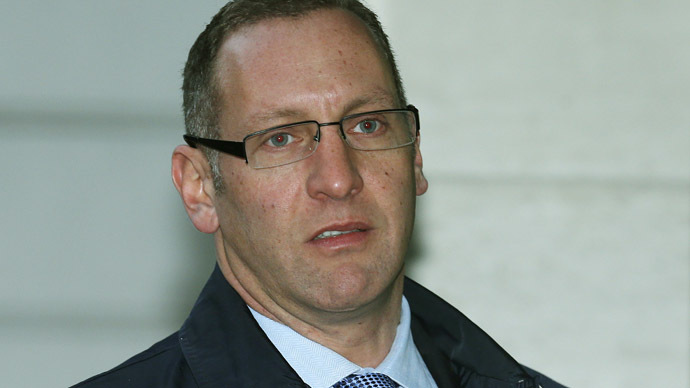 Julian Rifat, a former hedge fund manager at Moore Capital, was sentenced to 19 months in prison by a London court after becoming the third person to be found guilty in Britain’s largest insider trading investigation. Julian Rifat was charged in connection with an investigation known as Operation ‘Tabernula’ that started over six years ago. Rifat pleaded guilty to leaking confidential information about eight companies, including Barclays and Volkswagen to a broker at Novum Securities named Graeme Shelley, according to the UK Financial Conduct Authority. Shelley traded shares in the companies based on the leaked information and split the £285,000 scammed equally with Rifat. The affair was conducted via text messages on unregistered pay-as-you-go mobile phones to conceal discussions over illegal trading, but these were snared in 2010 and Rifat was arrested on his 41st birthday at his Oxfordshire home. Investigators and a squad of nearly 150 police officers made the first arrests in March 2010, seizing documents and computers. It took months to compile a detailed chronology by inspecting phone records, text messages and other documents. Insider dealing is considered a criminal offence in Britain and can be punished by a fine and up to seven years in prison. After admitting to passing inside information, Rifat will have to pay £100,000 in fines and costs of £159,402. Shelley was found guilty in 2014 of insider trading with Rifat, and received a two-year suspended sentence. A year earlier, Paul Milsom, a former trader at Legal & General who was also involved in the case, faced a two-year jail sentence. The FCA said it’s probing seven more individuals for insider dealing. According to the agency, some of Rifat’s biggest schemes were pulled off in the second half of 2009. The inquiry over Rifat’s actions takes in other notable cases that took place during the 2008-2009crisis, including the notorious Libor-rate rigging scandal, when millions of dollars were lost at credit unions because of alleged rigging of Libor’s benchmark rate. Four major global banks faced trial in 2014 over manipulating precious metal prices. The companies were sued for using insider information about sale orders and client purchases in order to gain benefits from adjusting precious metal rates.